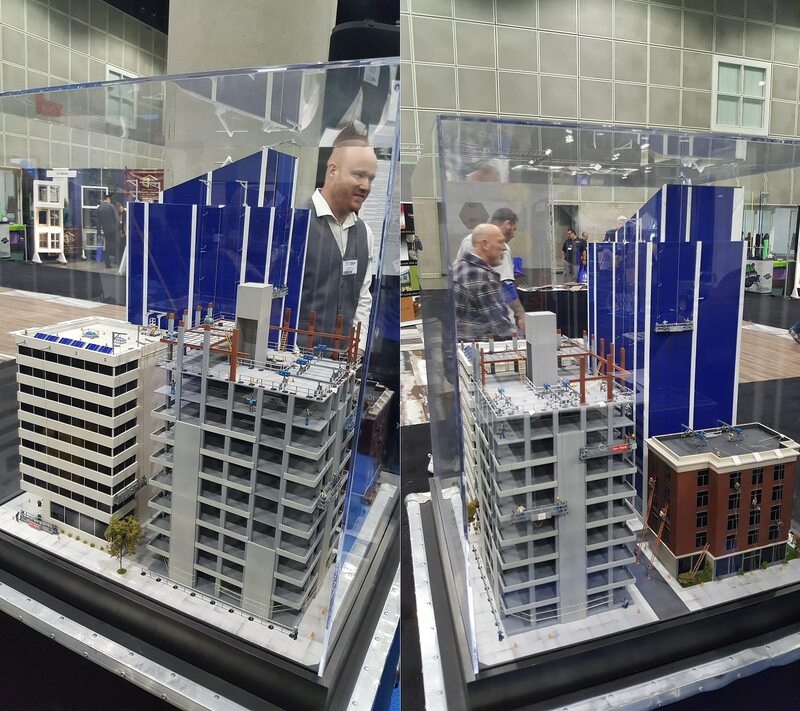 We got to visit Build Expo at the Los Angeles Convention Center just before the St. Patrick’s Day weekend, and it was amazing. 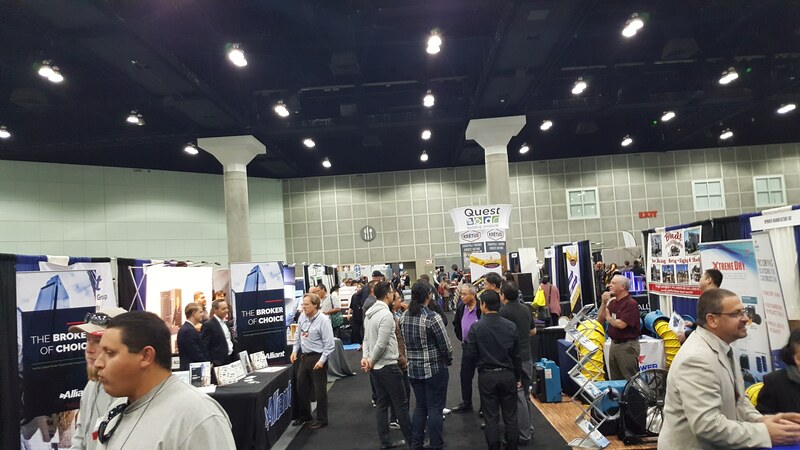 Vendors, suppliers, and service professionals revolving around the building and construction industry from all over LA came out to represent their products at this local craft industry show. There are also an incredible array of expert seminars and workshops covering a huge variety of topics. Their keynotes both days were very insightful: Dating Your Legacy & Maximizing Associations to Gain Customers on day one then Single Family Residential Flipping & Financing: Challenges of Development on day two. We arrived bright and early on day 2 of the event in order to take in as much as possible. 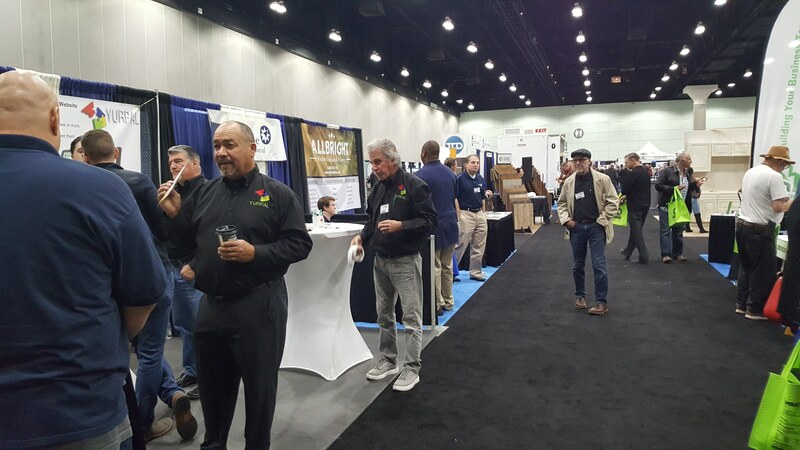 The convention floor was packed with exhibitors and attendees animatedly discussing every aspect of construction from contracting jobs out to talking about interior design. It’s such a pleasure to see in one concentrated location the widespread network of industries that collectively make building possible. We met and spoke with a wide variety of exhibitors and attendees from all over the county. From Los Angeles kitchen cabinet wholesale suppliers to architectural firms to online services, it seemed like you could find anything you were looking for. Local business review site Yelp even had a booth. As you might expect, there were also plenty of fun displays in order to catch the eye and draw in foot traffic to various exhibitors. 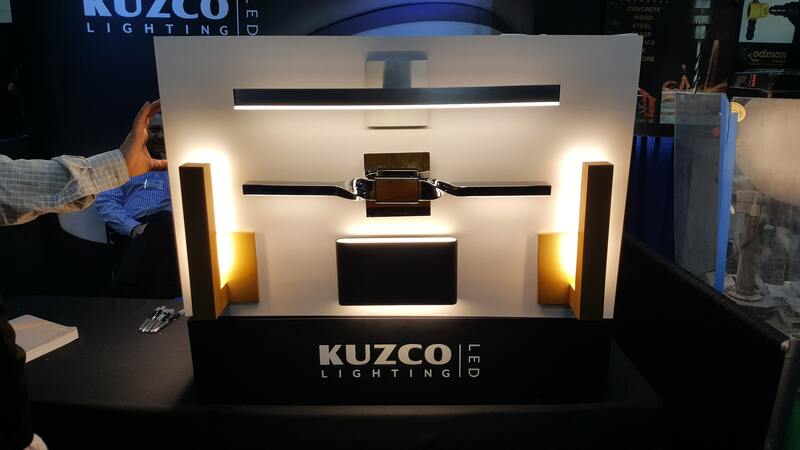 Kuzco Lighting had a very cool booth that showed off the appeal of their LED solutions. Atmospheric lighting can do wonders for a kitchen and add amazing depth and warmth to a space. We use similar lighting techniques beneath some of our modern upper cabinets at Cabinet City to achieve an ambient glow. Soft LEDs that can cycle through multiple colors can provide a great accent, particular in the case of glossy white flat panels. We also came across a display for a construction insurance business. They had a model developed which highlights all of the safety measures necessary at large construction sites, with a fun catch: there was one safety hazard to spot for a prize! Sadly, we did not guess the safety hazard–there were hundreds of little workers! But it was a fun diversion nonetheless. The booth for exhibitor ArchLite had their own great enticement: a rubber Infinity Gauntlet from the Marvel comics! 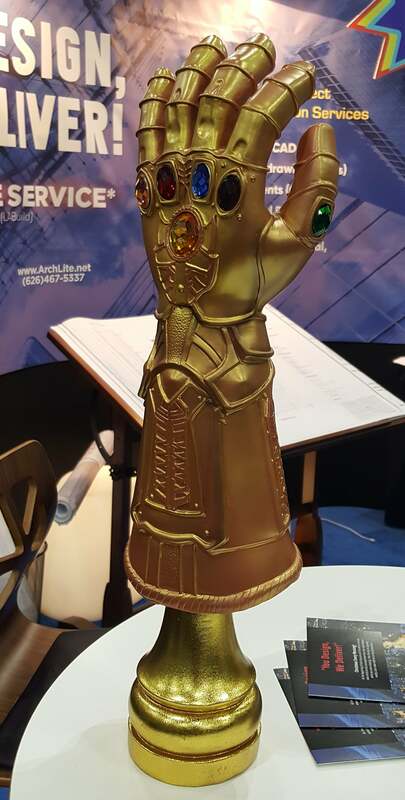 While we’re unsure whether their gauntlet confers the actual power of omnipotence throughout the universe, it sure was an interesting sight at an architecture services booth. As you might expect from Cabinet City, we love talking about kitchen cabinets! We got a chance to discuss builds with a lot of contractors to get their take on current trends in kitchen and bathroom design. As one might expect, shaker cabinets and modern European flat panels still appear to be at the forefront of consumer options, with various styles being used popularly. 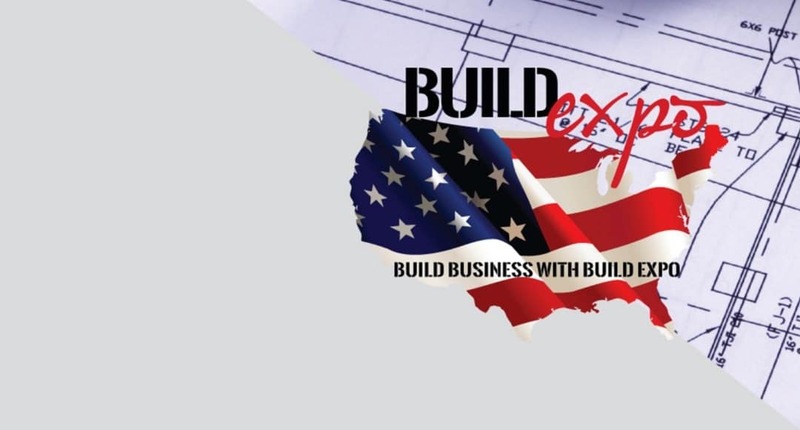 An interesting part of some of the discussions came down to how contractors and subcontractors are assisting their customers with purchase and material decisions. Some homeowners can approach a remodel with very little idea what they are looking for, and it can make a project drag or hang right at the quote. Apparently a more successful approach was to steer the remodeling family or decision maker towards the concept of the remodel reflecting their own identity. Something to think about!